Alex Shumaker 9 year old Drummer from PA. Sat in as guest drummer for bands like Journey, Wynona Judd, and many other local bands. 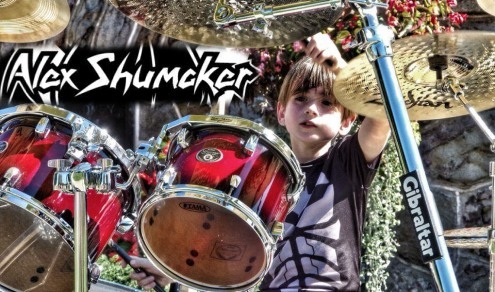 Nine Year old Alex Shumaker heralds from Punxsutawney, Pennsylvania, USA and has had an interest in Classic Rock bands such as Journey, Foreigner, Reo Speed Wagon and Styx since age 4. When Alex was 5 his parents took him to his first live concert to see Journey, Foreigner and Night Ranger and he was mesmerized! Following that concert experience, while most 5 year olds were headed to the Toy section at Walmart Alex would always ask to go to the Electronic Department to look at CD’s. On February 10, 2012 while browsing the CD’s Alex found a DVD of the band Journey with their new lead singer Arnel. Alex became fixated with drummer Deen Castronovo. 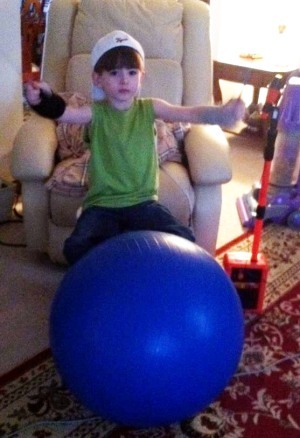 Alex would get out an exercise ball, put it in front of the TV, and grabbing some kitchen utensils would proceed to play his make-shift drum set. He would watch the video over and over again and ultimately broke every kitchen utensil his parents had. To remedy that problem his dad created a pair of drumsticks out of plastic coat hangers for him to use. “Nana and Papa are buying me a real drum set”. Alex received that little drum set and played it for hours on end, at least 3-4 hours a day watching the Journey DVD over and over trying to copy Deen’s every move. Every time Alex went to Walmart he got a CD. A few months later another DVD appeared, this time it was the band Foreigner with then drummer Brian Tichy. Alex became obsessed with Tichy’s theatrics of stick throwing and bouncing. After a few months of playing, Alex’s parents enrolled him in weekly drum lessons with teacher Brian Rowan with whom he is still receiving instruction. Alex progressed and kept his passion for drumming. His tastes in music evolved and he started playing a wide variety of genres of music. 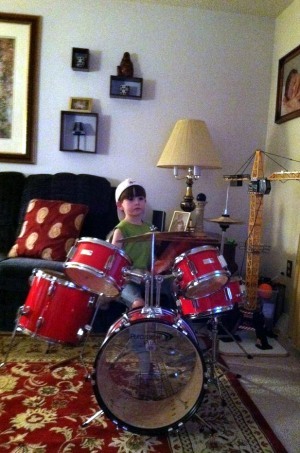 His parents and grandparents realized at this point this wasn’t just going to be a childhood phase and decided to purchase an adult size full drum set for his 7th birthday. Instead of asking for toys for birthdays and holidays, Alex would ask for musical equipment. Thus, his drum set has become quite massive over the past two years. Alex’s parents began taking him to more concerts and numerous local shows. Alex has had the chance to meet many musicians and has become friends with a number of them, some even inviting him on stage during their performances. His biggest moment was getting to meet his hero Deen at a Journey concert along with Ross Valory and Jonathan Cain before the show. Deen was simply amazing to Alex. Deen even called out Alex’s name in front of 30,000 people while on stage and is still in contact with Alex today. That concert also opened Alex up to Country Music. He instantly fell in love with Rascal Flatts who were touring with Journey at the time. 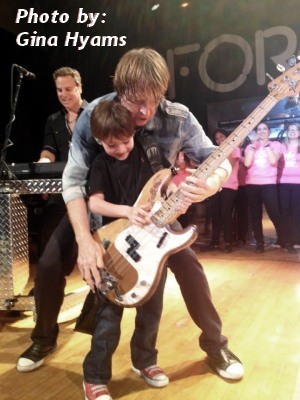 One of Alex’s first times being on a big stage was with the band Foreigner in 2013. It was an experience he will never forget. Alex has met Foreigner several times since. One particular occasion was when Alex used tickets to their show awarded to him by winning a Tonight Show inspired Lip Sync ontest the band put on. 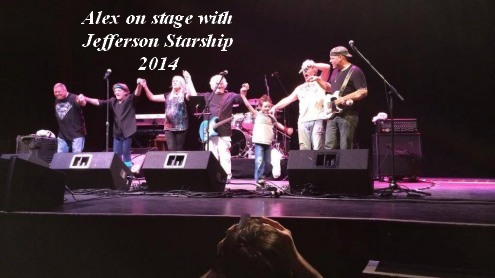 While attending a Jefferson Starship concert in Pittsburgh in 2014 Alex was taken on stage for the final song with the band. The band members had no idea he was a miniature musician but singer Cathy Richardson said she kept getting this vibe about this little 7 year old boy sitting in the front row she had to invite him up! Alex and his parents traveled to New Jersey to attend a show called the “Bonzo Bash” produced by his hero Brian Tichy. Brian puts on this show on the both the West Coast and the East Coasts to honor the late John Bonham of Led Zeppelin. Brian brings in top drummers from many bands to each perform 2 songs by Led Zeppelin. Alex got to attend the rehearsals for this show at the Gibson Guitar Show Room in NYC the day before the show. At the end of rehearsals Alex was given the chance to play while Brian Tichy (who is mostly known as a drummer) played guitar, Michael Devin of Whitesnake played bass and Chas West of Jake E. Lee/Tango Down performed the vocals.